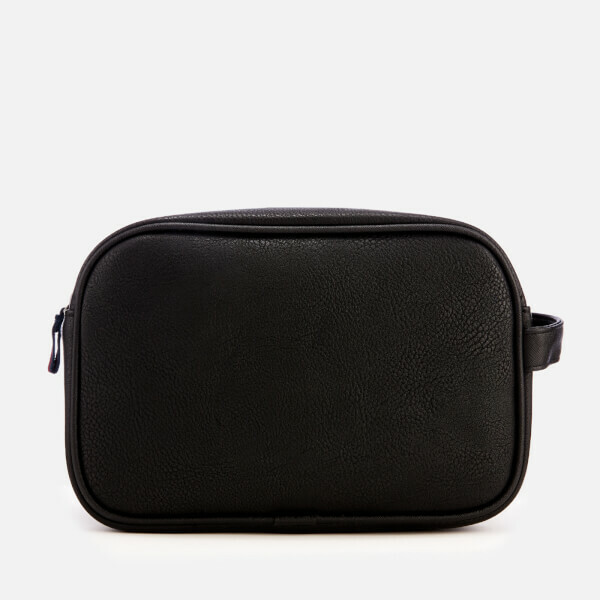 Faux leather wash bag from Ted Baker with striped webbing detail to the front. Crafted from leather-look fabric with a zip fastening, a lined main compartment and an internal slip pocket. A grab handle offers convenient carrying. Complete with silver-toned foil branding. 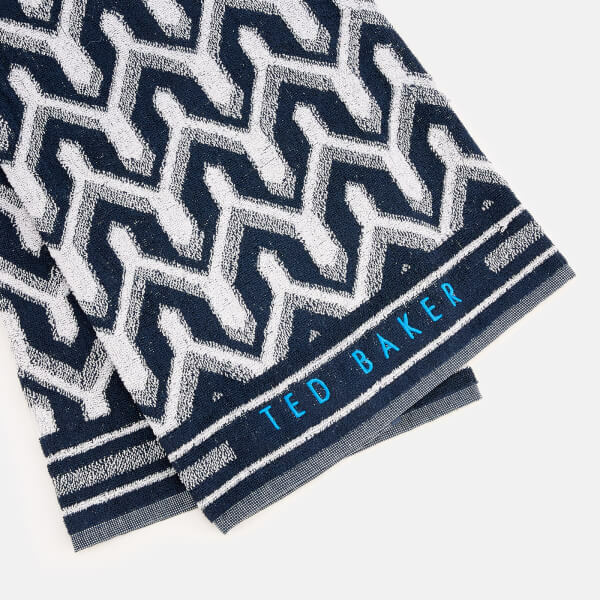 Includes a soft cotton towel with an abstract pattern and embroidered branding.